Running a local store has changed a lot in the past decade, hasn’t it? If you run a store, service business, or restaurant and you’re wondering how you can pull shoppers away from the interest and instead focus their attention on your business, you’re thinking about it wrong. Today’s successful local business owners that instead of fighting with the internet, the best way to increase business is to partner with it. How Can Local Business Owners Partner with the Internet? Too many small business owners believe the internet has ruined their chances for a successful business because they believe that today’s consumers want to buy all of their goods online. But the studies simply don’t back up those sentiments. In fact, there is a trend toward local shopping because people miss the experience that only small, local shops can provide. For example, when you make a purchase online, there is no one who smiles at you and tells you to have a nice day, or you don’t get to feel the fabrics, smell the perfumes, bounce the ball, pedal the bike, or experience the product you are considering in any way. Instead, you rely on the words the website uses to describe and hope that the writer they paid to write them ever actually saw the product. But we can’t ignore the fact that most shoppers do use the internet to find the shops they want to visit. And that’s why local shop owners should befriend the internet and use it to help bring all those tech-savvy consumers into their stores. Since consumers use the internet to find local shops and restaurants, it makes sense that your business is listed there so they will find it. 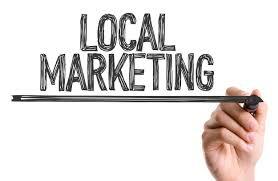 Nowadays, the best way to ensure that local shoppers can find your business is to create a free local business listing. Local business listings are the modern version of the Yellow Page listings that local business owners relied on in years past. They are a succinct listing that includes all of the important information shoppers need about your business when deciding whether or not to visit. For example, you should include the basics such as your business name, address, phone number, and website address, as well as other information such as your store hours, brands and products that you sell, what types of payment you accept, and any information related to directions or parking that will make their visit easier. If your local business can’t yet be found online, it’s important that you change that right away. To create your free business listing, you’ll need to go to a reputable local business directory like FindUsLocal.com. Once there, use the custom search bar you’ll find at the top right of the home page. Enter your business name and your business should come up in the results. Now, click on your business name and then claim it as the business owner. Once you’ve done that, you’ll be able to edit your local listing and include the information that should be there, but isn’t. For example, does the listing contain the correct phone number and store hours? Once you’ve filled in as many details as you can, hit enter and your local listing will go live. After you’ve set up your local listing, put it to good use by getting as many online reviews on it as possible. Remember, not many people will shop at a store or restaurant unless they’ve first read some reviews, so it’s important for you to send your customers to your local listing to leave those reviews. You can also use your free local business listing to interact with the community. By leaving comments on your listing, local shoppers will read them and keep up with your sales, promotions, job openings, or product changes. Local business directories are one of the best free resources available to local business owners, and if you’re not using them, you’re likely missing out on new business. Why not go to FindUsLocal.com right now and create yours? There’s nothing to lose—only new customers to gain! This entry was posted in Local Business Insight, Local Marketing and Advertising, Online Advertising, USA Business Directories News on October 8, 2018 by wpadmin.